As an English teacher, I often find myself giving the ‘food’ lesson. I will ask my students to tell me all of the different foods they know in a given category and they will help me compile a list of all the different vocabulary words they know. One day I was teaching this lesson to a class full of 8 and 9 year olds. I was asking them about different kinds of drinks and one of them kept saying a Vietnamese word that I didn’t understand. Every time he said it the class laughed and my teaching assistant scowled at him. 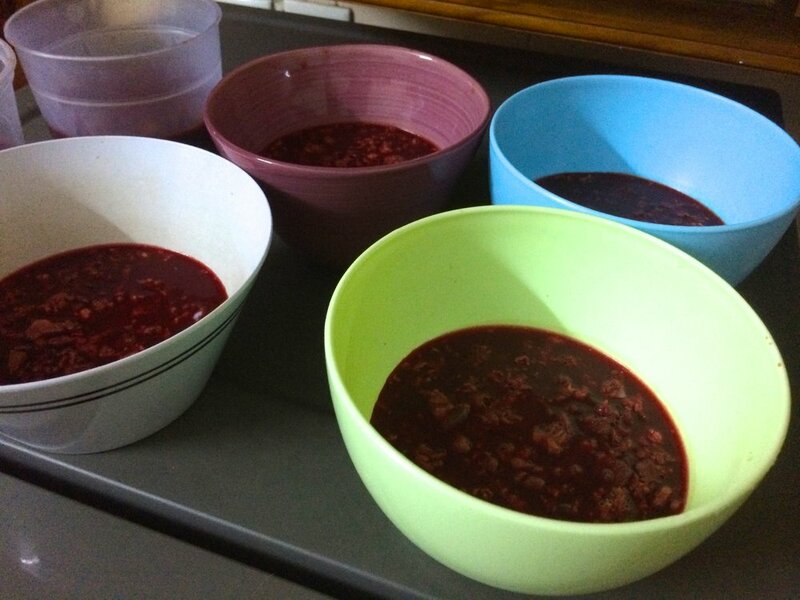 I asked my teaching assistant what he was saying and she explained that he was talking about a traditional Vietnamese dish that is essentially blood soup. Cue my first food post. 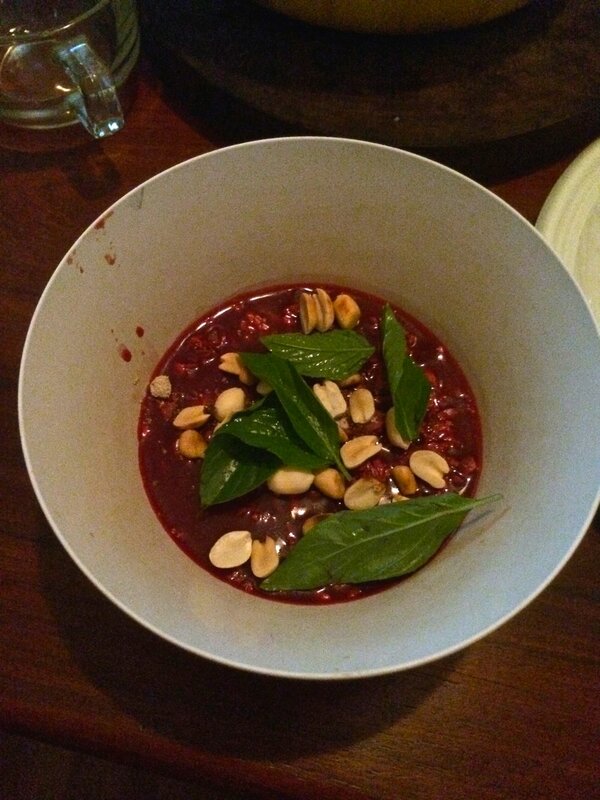 Tiết Canh (aka Blood Soup) is a traditional Northern-Vietnamese dish that is literally animal blood. These days it is very dangerous to consume because it is an easy way to contract whatever diseases the animal was carrying. And it is almost impossible to know about the health of whatever goat’s / duck’s / dog’s / chicken’s / whatever’s blood you are drinking unless you killed and bled the animal yourself. So most locals cautioned me against trying this dish. I spoke to some of my western friends and housemates about trying it and most of them said that they would also be interested to try it but we would need to find a safe way to do it. That ‘safe way’ arrived one afternoon when one of our Vietnamese friends returned to Hanoi from a visit to her rural hometown with a water bottle full of goat blood. She prepared dish for us over the course of an hour or so. 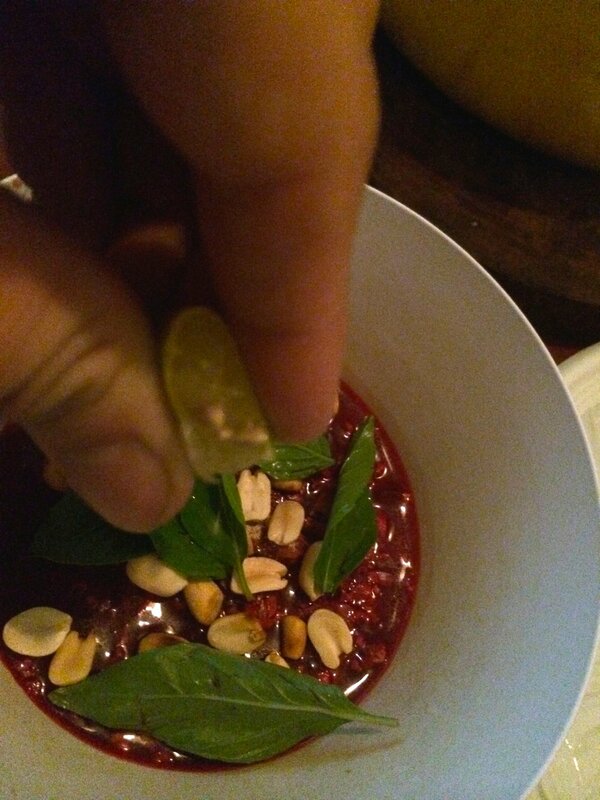 Tiết Canh turns the liquid blood into sort of a blood gelatin, containing assorted nuts and grains. We sprinkled peanuts and leaves into our bowls and ate it. We also squeezed limes into it for some added flavor. I must say, it didn’t taste the way I expected… but it didn’t taste good either. Imagine the taste of a bloody nose, but cold and coagulated with some random pieces of food adrift and out of place. I probably ate about a fourth of my bowl before I threw in the towel and gave myself a pat on the back for trying it. A for effort?